State College’s reputation as one of the best college towns in America is well-deserved, with a wealth of cultural destinations and things to do to please everyone, from long-time residents to incoming Penn State freshmen -- and the local restaurant scene is no exception. Whether you’re looking for some traditional pub fare, a classy graduation dinner spot, or someplace romantic to take a special someone, State College has the goods: Here are the essential places to eat when you're hungry on campus. 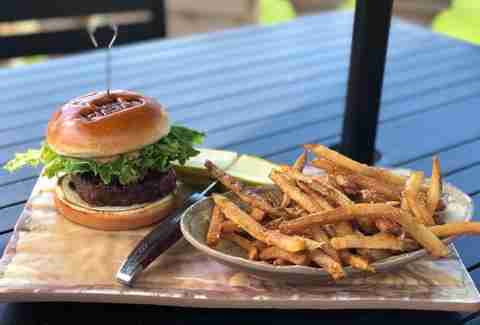 An upscale take on the traditional burger joint, The Field takes the humble hamburger and elevates it to an artform. 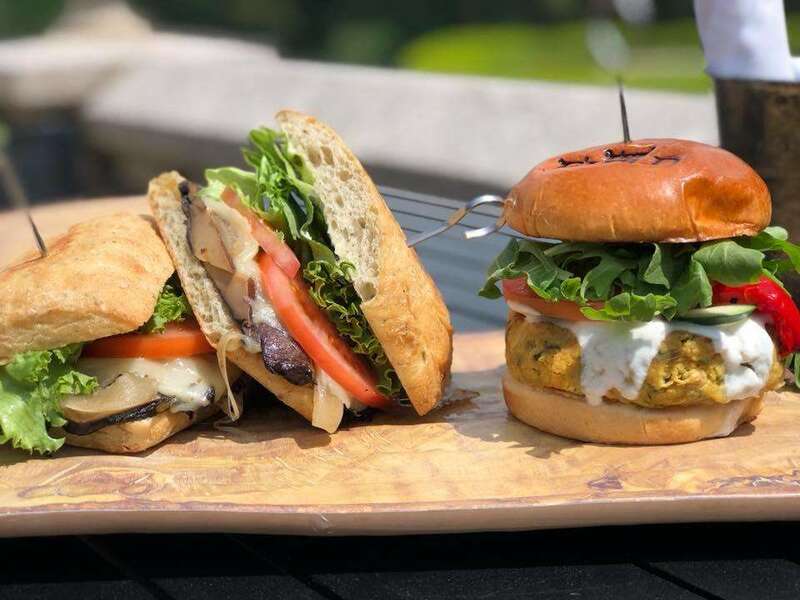 With a focus on locally sourced, farm-to-table ingredients, The Field offers thick patties piled high with trimmings, as well as a selection of craft beers from across Pennsylvania and house cocktails that put new twists on old favorites. And when you’re done, you can even step outside for a round of golf at the Toftrees Golf Resort -- assuming you’re not too full, that is. “Yallah” is actually an Arabic word, commonly used to mean “let’s go!” or hurry up!” -- and this colorful taco spot lives up to its name by combining Arabic and Mexican food traditions for a one-of-a-kind experience that’s always delicious, especially on the go. Although this gem is tucked away down an alley, it’s not hard to find: The paint is bright, the Spanish-language music from the speakers is loud, and if you’re grabbing a snack while you’re out drinking on a Friday night, the line is going to be long. But, like any good street taco stand, they fill orders fast and take them faster, so you won’t have to wait long to enjoy their selection of delicious tacos, burritos, and quesadillas. Don’t forget to grab some hot sauce! The one, the only, the legend. (Well, maybe not ‘the one and only’; there are several around town.) 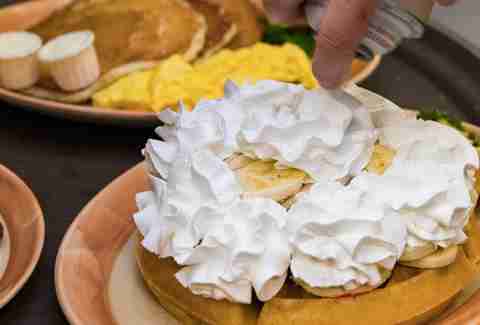 The Waffle Shop is a cultural institution in State College, and with good reason: The waffles are sweet and fluffy, the bacon’s thick and the perfect amount of crispy, and the service is fast and friendly. The Waffle Shop has such a dedicated following that fans have been to known to have spirited debates about which location is the best. The real answer? Whichever one is closest! But if you’re visiting on, say, a Penn State football game weekend, you might want to show up early, because everyone else in town will be there, too. If you’re looking to grab breakfast mid-morning on Sunday and don’t want to wait in line at The Waffle Shop, The Naked Egg is one of the best kept secrets in Happy Valley. Located just a few minutes outside of town, this charming diner boasts a spectrum of specialty coffees and fresh twists on brunch classics, like chicken 'n waffles or huevos rancheros. And if you just want some perfectly cooked eggs -- a "naked" egg, you might say -- this lovely restaurant is the place to get it. 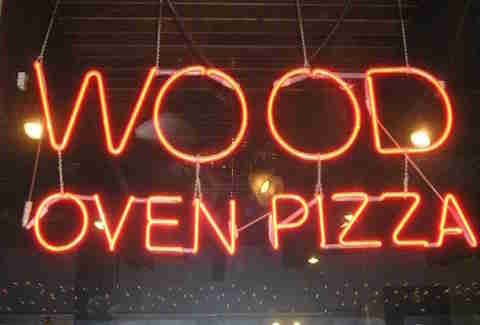 The wood-fired oven is what helps set Faccia Luna apart from other pizza joints in State College, giving their crust a crispness and hint of smokiness you won’t find anywhere else. Whether you want a standard pepperoni pie or something a little more adventurous, you can’t go wrong with Faccia Luna. If you stop by their second location (Luna 2 out on East College Avenue), you can enjoy delicious wood-grilled entrees as well, giving Faccia Luna a culinary range you’d be hard-pressed to find at any other pizza shop in town. Webster’s is so much more than just a cafe: It’s a community space. Yes, the coffee is delicious. Yes, they make a mean speciality drink (the “brown cow,” which is espresso and locally produced chocolate milk, is especially recommended). Yes, the menu of breakfast and lunch items offer a range of locally sourced, vegan, and vegetarian options. What makes Webster’s truly stand out, though, is the non-cafe stuff: its used bookstore with an incredible selection, the used record shop that any collector could spend hours looking through, the art gallery highlighting local artists, and the live music, book readings, open mic nights, and more. Don’t let the giant cow on the roof fool you: This is a classy joint, and the steak is top-notch. Whether you want a perfectly cooked NY strip, a tender filet mignon, or some classic surf and turf, Kelly’s has just the cut of meat for you. Kelly's offers a selection of house steak sauces to complement even the pickiest of palates, serves locally roasted coffee, and has a cozy atmosphere that makes it perfect for a graduation celebration or romantic dinner date. It’s no secret that college students love ramen noodles, and Penn Staters are no exception -- but ramen shouldn’t come from a package, and Tadashi perfectly illustrates the reason why. This cozy Japanese restaurant makes lovingly crafted ramen topped with meats, eggs, and veggies, delivering a savory taste sensation that could never come from a packet of seasoning. Combine that with their top-notch sushi bar, their menu of delicious Japanese entrees and seafood, and their cozy atmosphere, and you have one of the best restaurants in State College. 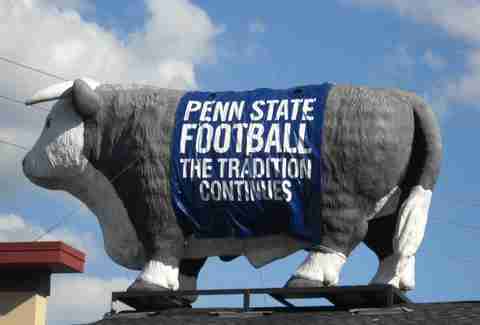 Penn State’s been here since 1855. Duffy’s Tavern, about 10 minutes down the road in Boalsburg, has been here since 1819 -- and they’re definitely doing something right to stay in business that long. 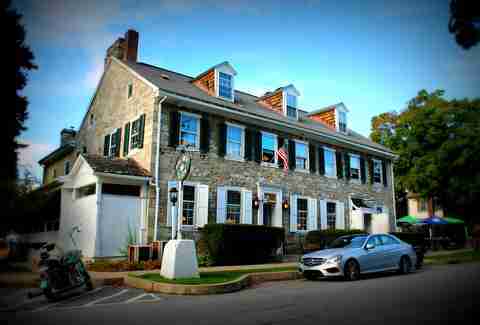 The character of the place is hard to overstate: The tavern itself is handsome stone, and the beautiful hardwood floors and classic paintings that adorn the walls give an evening at Duffy’s a feeling of taste and class. The menu changes seasonally and often features choices for the refined palate like demi-glaced bison or brie-and-pear ravioli, but they also make some of the best wings and burgers in Central Pennsylvania. 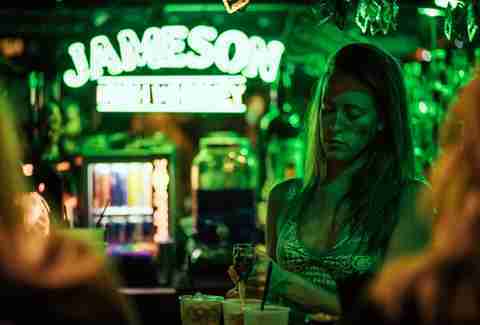 It’s hard to go wrong with a trip back to 1819 at Duffy’s. With two locations, an impressive array of taps, and some of the most vehement Penn State spirit anywhere in town come game day, there’s nowhere better to cheer the Nittany Lions on to victory than Champ’s. In addition to flat screens, upstairs and downstairs seating, and daily specials, Champ’s is also home to “Lou’s Stickroom,” for all you pool enthusiasts out there. Famous Ernie’s is named after the late Ernie Olbermann, founder of legendary State College bar The Phryst and leader of its much-adored Phyrst Family Band. The shop is a no-frills, no-nonsense cheesesteak joint, and has often been a source of comfort for homesick Penn Staters from Philly. Whether you’re getting your cheesesteak “with” or “without” (onions, for those who aren’t familiar with Philly cheesesteak parlance), you’ll be hard-pressed to find a better sandwich in State College. Craft beer drinkers rejoice! State College is home to several brewpubs, each offering a unique selection of brews, including the Happy Valley Brewing Company -- a charming brewpub operated out of renovated barn that’s absolutely bursting with Pennsylvanian charm. With more than a dozen craft beers, ranging from brown ales and IPAs to Belgian whites and sours, as well as a delicious menu of sandwiches and upscale tavern food, Happy Valley Brewing Company is the destination for local beer lovers.